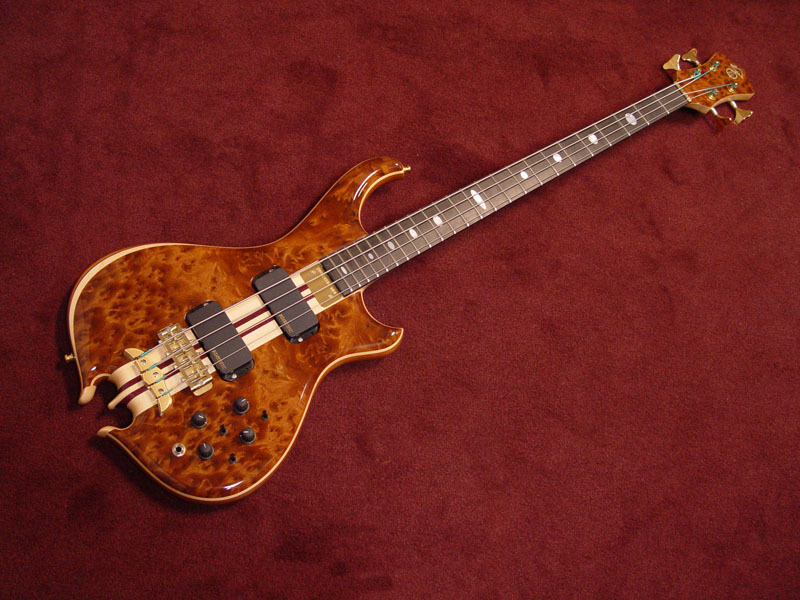 Some Alembic dealers have all the luck! Like a certain Mr. Prock from Music Unlimited on his last visit to our showroom. 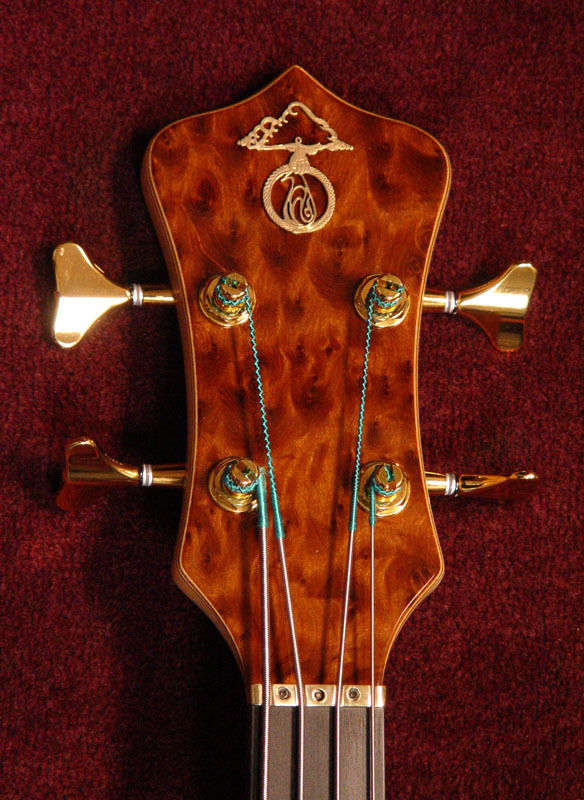 After sampling all the basses on display (and personally coveting the Pale Moon Ebony bass), he concluded that this bass was exceptional in every way and simply must take up temporary residence at his store, at least until the next lucky person comes along and claims this one for their own! 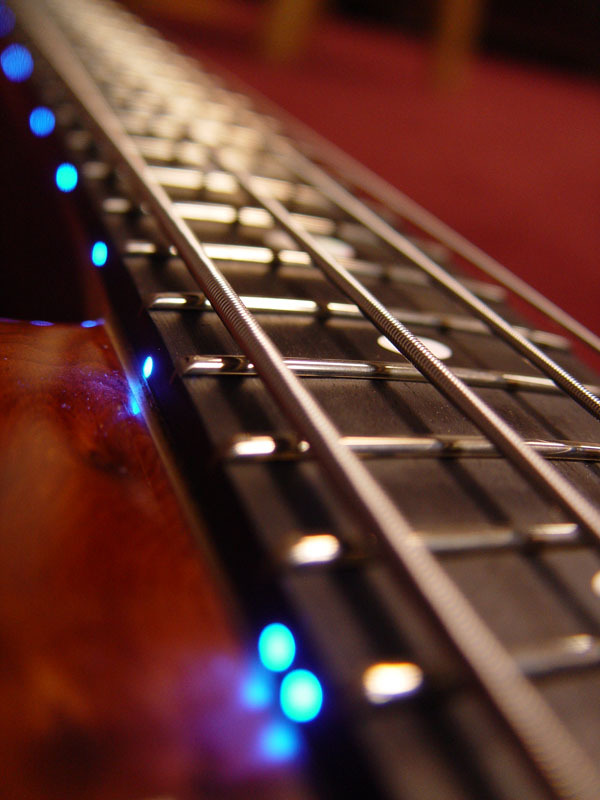 Massively deep bass is the dominant characteristic of the tone. 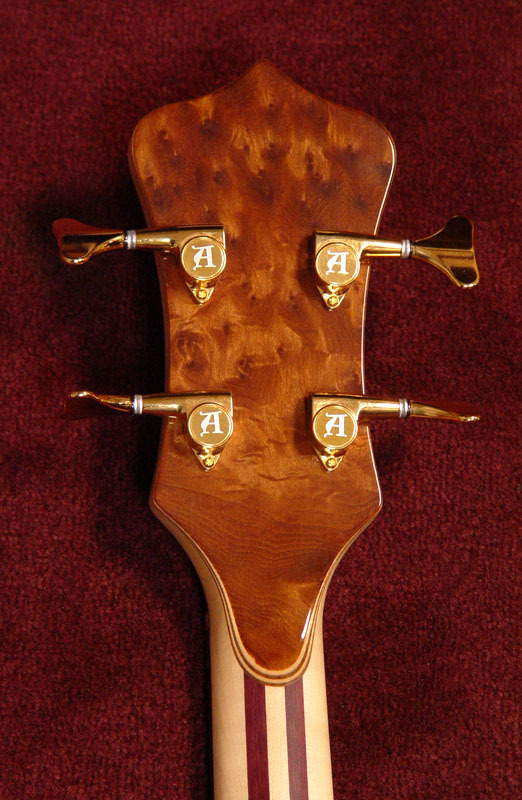 That's directly a result of the Burl Redwood top, which not only imparts its beauty, but a also a rich and distinctive sound. 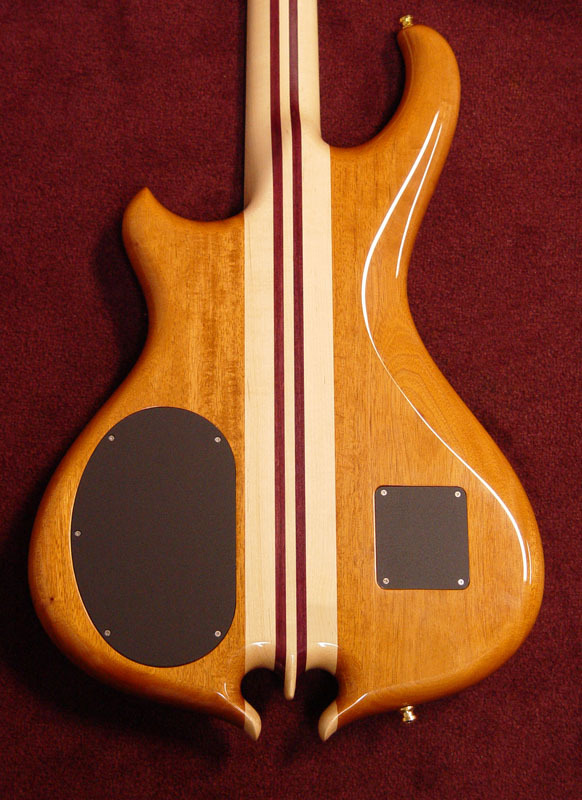 Supported by a Maple and Purpleheart neck, the highs are no slouch either, making this bass extremely versatile and ready to create all kinds of music. Do the blue LEDs make it sound better? They just might.